I Have a Body. Now What? *What’s this got to do with you? * Lightwork, Dolphins and Your Purpose is a heart centered guide for healing, clearing fear, connecting to your purpose and joyfully embracing this New Age! I define lightwork as the multitude of light filled healing modalities can deeply enhance healing physically, emotionally, mentally and spiritually. We’re blessed with many choices. I share the modalities that transformed me, many clients and loved ones, over the past 25 years of consciously focusing on my spiritual evolution and helping others do the same. My purpose is to connect you to dolphins as a resource for healing. The book gives you an overview of who they are and how they serve humanity. Awareness of the dolphin-human connection amplifies the dolphins' ability to enter your hearts and tranform your lives. Do you ask the question “ I have a body. Now what?” The book supports you in the exhilarating process of discovering your unique purpose and experiencing the joy of living your purpose in service to others. For me, discovering my purpose has been a wild, out of the box, joyful ride. In the book I share my story. The purpose of this webpage is to inspire you go within and ponder on your reason for being alive. I’ve provided key excerpts from the e-book Lightwork, Dolphins and Your Purpose, to stimulate clear thinking on your purpose and to introduce you to my perspective. From my point of view, focusing on life’s challenges, and taking care of your body-mind-spirit with many forms of light work, energy healing or energy medicine is the key to finding your way back to who you are and why you are here. This is a life-long process of becoming more and more heart centered, conscious of your divine essence and the help available from your guardian angels. I invite helpful comments at the end of the page! In the pages of this eBook I’ve shared my story and how my purpose began to emerge when I was just a few years old. My unusual purpose is to serve as a bridge between you and the dolphins and the whales of our planet. I’ve lived a fairly typical life. Through many life stages I resolved many challenges and developed important life skills. Finally, as a mature adult, thanks to healing on many levels, I became heart centered enough to connect with my reason for being alive. I’ve interwoven my story with communication from divine messengers, to clarify certain points, and to provide you with the wisdom, motivation and desire to discover your purpose. The key for all of us is to become heart centered, through healing the fear that creates physical, emotional, mental and spiritual trials. We share the common purpose of becoming more compassionate. However, each and every one of us was chosen to live here and contribute, in a very unique way, to the overall comprehension of what it means to be loving and kind. The central theme of this eBook is the fact that you can connect with dolphins from wherever you are on Planet Earth. All of you have been and always will be under the loving, influence of the cetaceans. I’ve reviewed the impact dolphins have on people who have direct physical encounters with them in their ocean home. 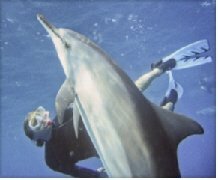 Most who swim with dolphins, endure long hours of travel to visit the few areas on the planet where direct, physical encounters with dolphins can be experienced. Transformed, with wide open hearts, they return to their homelands, which are often land locked. They share their experiences with loved ones. Many do their best to help others feel and understand the impact of the cetaceans on human evolution. 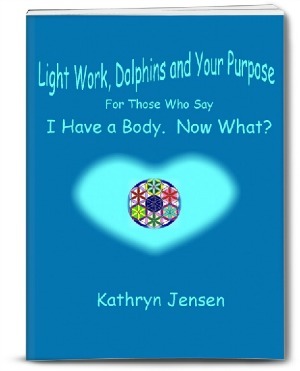 Some people, like Kathryn Jensen have developed healing methods that very directly connect you the cetaceans loving, healing energy. Others simply serve as energetic conduits for the dolphins to enter the hearts of everyone they encounter. The hearts and souls of all people and all dolphins and whales are learning to collaborate in creating peaceful, healthy, joy filled lives for all who live on Earth. The Masters of Love, who reside in higher realms of existence, provide you with help in achieving this goal. We provide you with support in communicating with and learning from the cetaceans. We love, honor and respect you for your commitment to being in human form. As you live your lives, many of you choose to open to rich opportunities for consciously opening your hearts and souls to love - light. You are learning to become universal leaders in opening beings in other worlds to higher and higher levels of the frequencies of love. Go forth. We appreciate your sensitivity to living where you must cope with corruption. You help balance the extreme polarities. Your skills for overwhelming dark forces have been enhanced by your contacts with dolphins and whales. All of you have complicated reasons for being alive. You chose to live as citizens of Earth to participate in one of the most intense experiments ever performed in any known universe. Each of you longed for the privilege of beginning again as third dimensional human beings, participating in the world of duality. So you were carefully chosen and very thoroughly briefed, about the challenges of living through multiple incarnations, as you saturated yourselves in the concept of becoming compassionate. All of you have been held within the domain of the one most of you call God. God has many names―Source, Universe, Consciousness, Core Values, The Presence, Spring Board to the Truth, The Feeling of Bliss, Great Creator, or simply Compassionate, Heart Centered Loving Kindness. However, you do not usually recognize the concept of God, until you’ve banged your head against the barriers that you’ve created to giving and receiving love. 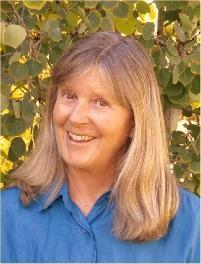 You’ve read Kathryn Jensen’s life experiences. She embraced different roles to fulfill her deepest impulses during diverse life stages. Every stage represented an evolutionary step towards unfolding her one true purpose for this specific incarnation, which is to promote the cetacean-human connection through books, courses and relevant healing systems. If she experiences more incarnations, her life experiences will build on the experiences of this incarnation and her purpose for being alive will become even more expansive. Her purpose isn’t conventional and it certainly wasn’t consciously asked for. She banged her head against her resistance to living from her heart. Her motivation to diminish those obstacles came from her desire to quell the physical and emotional misery she experienced. Those barriers are still being dissolved. The dissolution of resistance is a life-long process for her and all of you. I complete this communication by inviting you to springboard yourself to your truth, by fully embracing modalities for healing that you feel comfortable with embracing. There’s an abundance of light filled processes offered at this time in Earth’s history. So put your discernment to work and find a love based system that you resonate with. Explore the healing opportunities mentioned below. Included are dolphin-inspired healing systems that Kathryn has developed, as well as healing modalities that have assisted many spiritual seekers in taking care of their physical, emotional, mental and spiritual challenges. Do your work beloved ones. This is the time for lifting your frequency into the 5th dimension. You are capable of greatness dearly beloveds. You are golden, heart centered blessed examples of what can be accomplished by God’s children. There are a multitude of light work, energy healing and energy medicine modalities that are now available on planet Earth for you to explore. Enjoy the process of discovering which modalities you resonate with. In the book I give a long list of healing modalities that you might be inspired to research. This site of course is filled with dolphin inspired light work methods, including the healing essences called Blue Dolphin Essences and the Essences for the Home Temple. After reading this page I encourage you to begin your exploration. Ask and listen. Magnificent healing opportunities are filtering into the mainstream. I’ve included questions and answers from the book. They’re typical questions I’ve been asked by readers. May they stimulate in-depth processing on your purpose. I’m so concerned about paying my bills all I can do is focus on finding a good job. I realize you did the same thing when you were young but I’m 64 years old and I’m still struggling to survive. I don’t have enough energy to follow my bliss and discover my purpose. Could it be I’m stuck till I die? Take a look at the list healing resources listed below. Perhaps focusing on exploring sabotaging beliefs about self-worth would be a good purposeful focus for you at this time. I don’t get it. You’re pushing my buttons with all your talk about hardships being overcome by transforming sabotaging beliefs. Don’t I just need to take action and get good job versus spending time discovering and changing my sabotaging beliefs? If you do take the time to transform sabotaging beliefs you’ll experience the truth about the law of attraction. Perhaps you’ll find a job that stirs your body-mind-spirit in a way no other life experience has. Light attracts light. Love attracts love. As you love yourself out of fear you embrace a more positive perspective on life. You might begin to believe joy and fulfillment can be experienced as you earn a living wage! You have a weird purpose for being alive. Why do you think your story is helpful to people? I’ve read your book. It’s interesting but don’t most people live far more ordinary lives and live their lives for far more basic reasons than you do? Yes. My purpose is out of the box! Its emergence was a total surprise to me. I didn’t know anything about the dolphin-human bond and all the cetaceans have to offer to humanity until things started to unfold with my clients. I was totally befuddled. But it’s who I am. We all need to embrace who we are. Some people, like me, are here to serve in mysterious, unusual ways. We definitely don’t follow our purpose to gain approval or appeal to the masses. The list is endless. Notice how, for the most part, those expressions of purpose and making money DO NOT go hand in hand. Yes I do earn money from pursuing my purpose. Some people do. But most do not. You’ve included communication from beings, who live in other realms, in this book. What’s the point? Sure that master Buddha Maitreya is wise but what’s his communication doing in a book about living in human form? That’s an excellent question. As I’ve lived my life and been consciously advised by the Ascended Masters, I’ve come to realize that they all express the same truth―Love is all there is. Kind, loving compassionate, heart-centered people are guided to be this way, as they heal fear and become more heart centered. They’re all guided by their guardian angels who typically, serve their loved ones, by helping their beloveds figure out how to give and receive love. My job is to re-introduce people to the teaching of the divine. One way to do so is to serve people with messages from the Masters, who represent the voice of the Heart-Mind of God. I’ve noticed that people, who read the transmissions from these Masters of Love, become more confident about connecting to their own guidance. Why? Reader’s become more conscious of their angels and feel more connected to the source of All That Is. I encourage readers of this webpage to explore the following process. Contemplate on your own life story. Fill in the blanks below with your story. Copy and paste these pages onto a Word document. Type or write out your story in sequence. You might just discover that what you’re doing right now is helping you evolve, into becoming a person who gives and receives love, at a much deeper level. You might also discover, like I did, that every stage of life has guided you more and more deeply into realizing who you are and why you are here. Becoming conscious of how you’ve conducted yourself on your journey and what you’ve learned can sooth your worries, that you’ve led an unfulfilling life. And it can help you clarify what steps to take right now as by you create your new purposeful life. 1. Contemplate on your experiences from conception to birth. 2. Do your best to recall your life from birth to five years of age. 3. Think about your elementary school years. What was your heart’s desire during those early years? 4. Ponder on adolescence and all the turmoil and change you probably experienced. 5. What were your experiences in early adulthood? What were your hopes and dreams at that time? 6. What have your middle age years been like? Have you felt fearful that your life was being wasted? Have you experienced fulfillment? 7. If you’re now a “Senior Citizen”, do you feel your God Presence within your heart? Have you loved yourself out of fear enough to get on with being yourself? 8. If you’ve reached the age of great, heart centered learning―the ages from about 75 years to 100 and beyond―how do you want to be remembered? Give yourself the freedom to be truthful with yourself as you explore your journey. Keep adding to your story. You’ll remember more and more as you ask for help in taking down these notes, on what you’ve experienced, as you’ve broken down the barriers to finding out how to get on with living life your way.